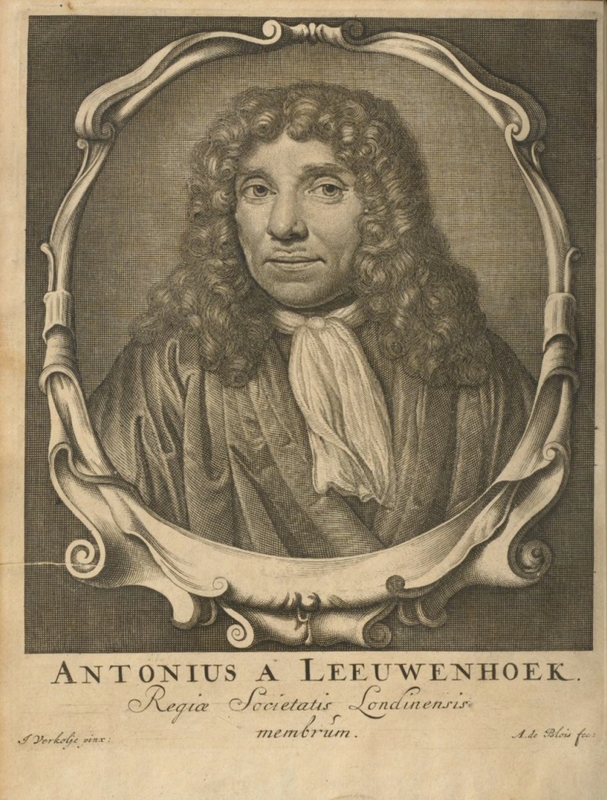 Making the magnifying glasses, doing the research, and writing the letters took the bulk of Leeuwenhoek's time. In addition, he made most of his letters available in Dutch and Latin printed versions. Many of these volumes have survived. Libraries and archives are scanning them and digital copies can be downloaded, so we have a some idea of what Leeuwenhoek did. 1673 to 1679: the first 28 letters. 1702 to 1712: 43 letters when Hans Sloane was the editor of Philosophical Transactions between the two periods when Edmond Halley was editor and not publishing Leeuwenhoek. 1720 to 1723: 15 letters at the very end of his life, when James Jurin replaced Halley as editor. As many critics have emphasized, Leeuwenhoek made no attempt to organize and systematize his observations. For these self-publications, he just lined up the letters, with few exceptions in chronological order, often not numbered though always dated, with a variety of running headers and paginations, and several times mispaginated. He made very few changes, though for several volumes he provided summaries of the letters in that volume, of letters in other volumes, and even indices, which he called registers. While the letters themselves are being translated and published in Alle de Brieven / Collected Letters, these volumes are not being translated, either the front and back matter or the summaries. 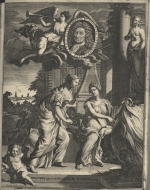 in Leiden, Daniel van Gaesbeeck in 1684, Cornelis Boutesteyn from 1685 to 1708, and Johan Arnold Langerak after 1713.
in Delft, Andries Voorstad in 1688 and 1689, Hendrik Cronevelt from 1694 to 1702, and Adriaan Beman in 1718 and 1719.
Who assumed the financial risk? Leeuwenhoek or the people who did the typesetting, printing, binding, and bookselling? Then, of course, who profited? What exactly got printed? The challenge here is illustrated by the case study on the right sidebar menu about the adventures of Letters 38, 42, and 43. How many variants were bound? I have yet to find two sets of Werken or Opera Omnia that are identical. Was this printing and re-printing driven by demand? by vanity? by the need to complete the record? Did Leeuwenhoek sell them or give them to his correspondents and visitors? Why were some titles reprinted more often than others? Why were there so many variant editions? No serious attempt has yet been made by any bibliographer to collect and collate all Leeuwenhoek's numerous printed letters. We may therefore hope that the material for a full and accurate bibliography will shortly be collected and collated, and placed at the disposal of the public. That does not seem to be happening. 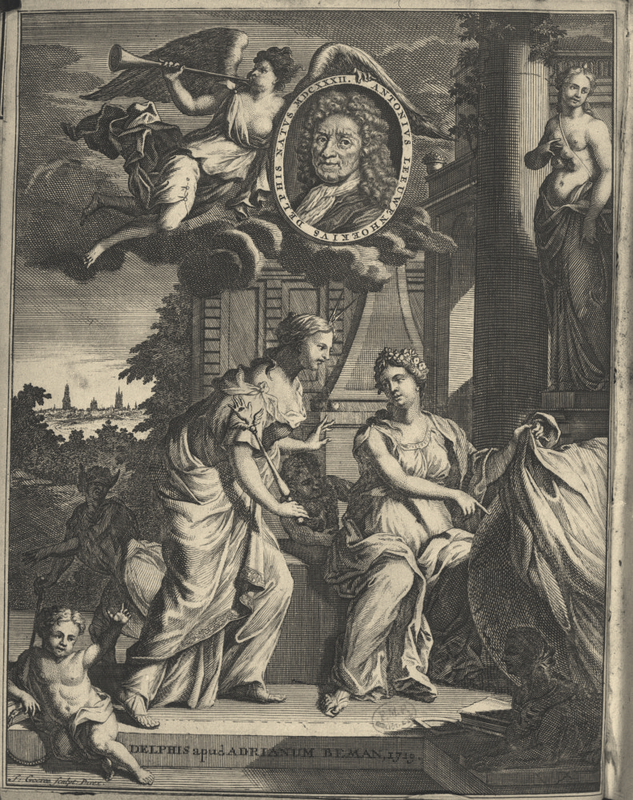 The Commission has been publishing Alle de Brieven / Collected Letters for almost as many years as Leeuwenhoek lived. They will have the complete letters, but they make no attempt at a complete bibliography. Frank Egerton (2006) called the situation a "bibliographic nightmare". Until Lens on Leeuwenhoek, the best bibliography was Schierbeek's, which differed little from Dobell's. The Short-Title Catalogue Netherlands web confirms that Dobell and Schierbeek have accounted for all of the titles but one. Google Books, however, has bundles that are not listed in Dobell, Schierbeek, or the STCN. In addition, antiquarian catalogs available online show bundles that are in none of these resources -- Dobell, Schierbeek, STCN, or Google Books. See The Works on the menu sidebar, top right. Most of the differences come in the early volumes and in the Latin translations. As Schierbeek wrote, "the bundles apparently were sold in different combinations." The Booksellers page on the menu sidebar, top right, has other examples. This much seems clear. 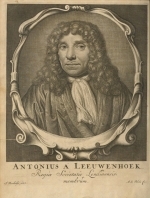 Leeuwenhoek published pamphlets of one or several letters each in the mid-1680's and collected volumes with anywhere from 7 to 46 letters every couple of years beginning in 1687. The trend was toward increasing size and uniformity. In his late 80's, he attempted to assemble a complete works, called Werken or Brieven in Dutch and Opera Omnia in Latin. Yet even as that project was being completed in 1722 with letters through 1717, he was publishing another dozen letters in Philosophical Transactions. When Leeuwenhoek died, he had the manuscripts, translations, and plates ready for another volume that never got published and are now lost. The numbering in Dobell's bibliography, used for Lens on Leeuwenhoek, has become the standard even though Dobell was describing only his set. He accounted for all of the published titles except the title that he labeled second and third editions of Arcana Naturae but were, in fact, re-titled editions of a different set of letters. What Dobell did not have were the various bundles of the letters, the different combinations in which they were bound. I have examined Schierbeek's personal set, now in the possession of collector Bert Degenaar. It differed significantly from the one Dobell used for his numbering, yet Schierbeeck added only one title to Dobell's list. These publications have never been translated into English as separate publications. Alle de Brieven / Collected Letters has only the letters and has twice as many as these 165 letters that Leeuwenhoek published himself. In Alle de Brieven / Collected Letters, the bibliography of Leeuwenhoek's self-published volumes is spread out, a piece of it at the end of each volume of Alle de Brieven / Collected Letters. Added together, they duplicate the bibliographies of Dobell and Schierbeek, though they shorten some of the titles differently.